Jakarta, Indonesia – WWF researchers are celebrating the first live sighting of a Sumatran rhino in Kalimantan, the Indonesia part of Borneo, since it was thought to be extinct there. 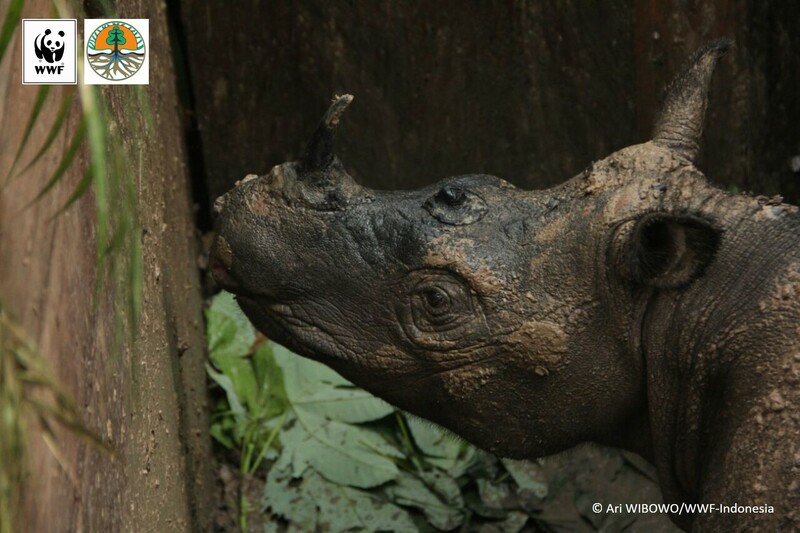 This is also the first physical contact with the species in the area for over 40 years and is a major milestone for rhino conservation in Indonesia. The captured female rhino is being held in a temporary enclosure before being translocated by helicopter to a new home – a protected forest about 150 km from the capture site. 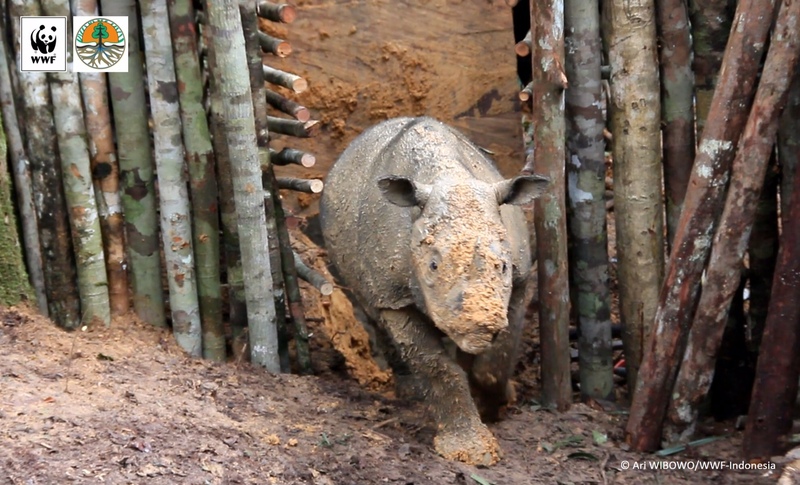 The rhino's new home is envisioned as the second Sumatran Rhino Sanctuary in Indonesia. 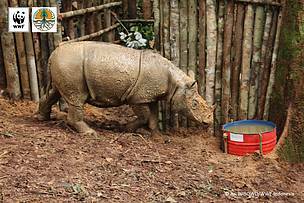 The female Sumatran rhino is estimated to be between four and five years old. 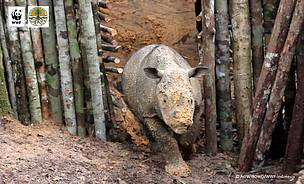 Sumatran rhinos are the smallest of the living rhinoceroses and the only Asian rhino with two horns. 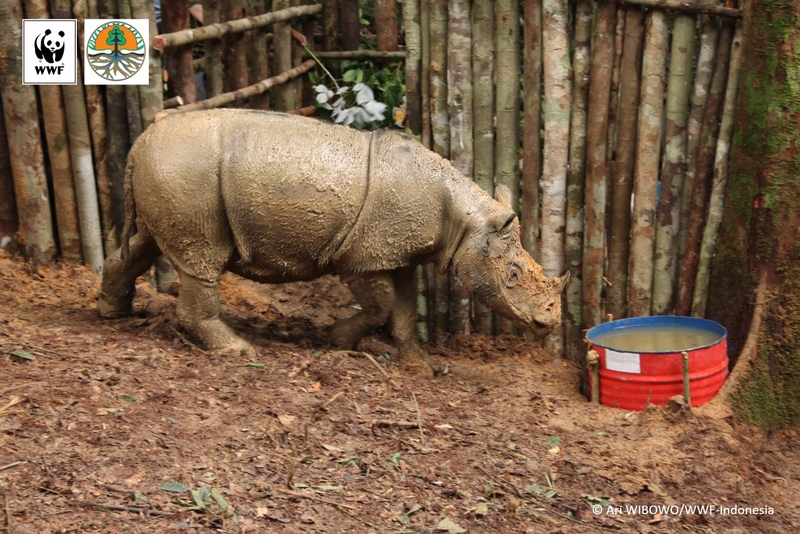 The captured female rhino is being held in a temporary enclosure before being translocated by helicopter to a new home – a protected forest about 150 km from the capture site.